Are you seeing something...or someone? Halloween is coming and it's coming faster than expected. Our office celebrates it annnually through offering trick or treats for kids. There's also a competition on which division has the best halloween decoration. For as long as I can remember, the Research and Development Division (our division) did not participate in this kind of celebration. However, this year, we want to claim the winning spot! And since we are joining for the first time, we want to prepare the needed things and make an awesome halloween party for kids (or for ourselves 😏). Weeks before the preparation, I actually printed a cutout of Kayako. I put her in between the window blinds near my desk and that glow effect just added to the chills. So, I left her on her first night with the very innocent @glenduuuuuh who sits next to me. If you also want to prank someone, you can download Kayako here. 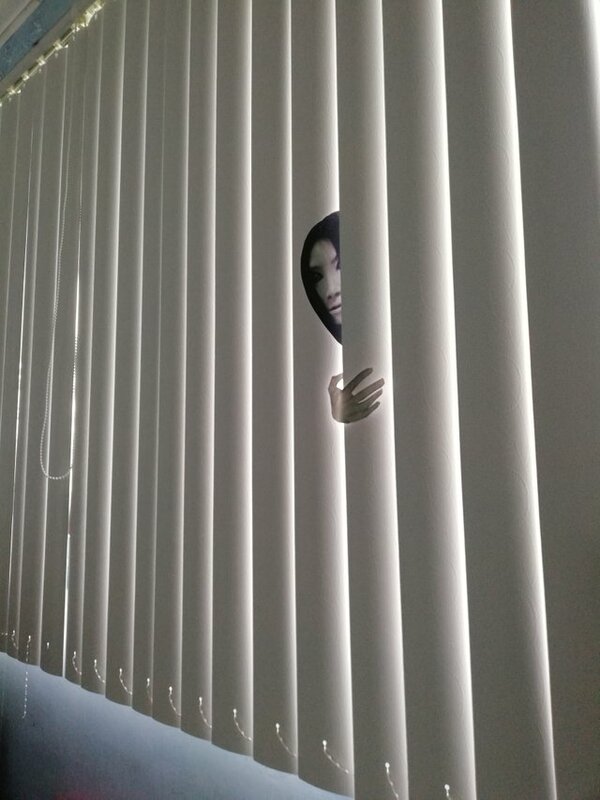 Rumor has it that RDD's Kayako roams around the office at night. You might be surprised that she's suddenly beside you. 😂🙄 I found Kayako no. 2 staring up at me from under my table one day. HAHAHA and Kayako no. 1 went missing. She's no longer attached to the window blinds. You got a 33.33% upvote from @entrust courtesy of @debilog!